We recently chatted with Emil Kiriakos at The Property Show. 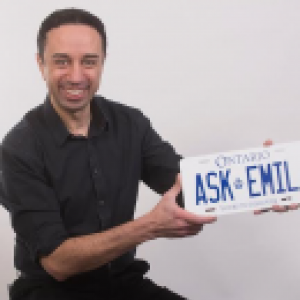 Emil is an award winning real estate investor, who has portfolios in both Canada and the U.S. He excels at purchasing pre-construction condos in the city of Toronto, staging them with high-end furnishings and then flipping them for a profit. He introduces himself as Emil Kiriakos TD with the word ‘TD’ coming from one of his investors, who one day said, “Emil, you are the deal!”. He is a mortgage agent at the Wealth Builders Group. I specialize in Condos, buying them pre-construction, at a discount. After we close on the Condo, we put nicer, high-end furniture. We make it ‘sexier’ and more attractive for buyers, so when we sell the condo, the buyer gets a project that is move in ready. We’ve done quite a bit in this area. We’ve done a few condos on Lakeshore and we are currently working on the Marilyn Monroe condos in Mississauga. Could you explain the process of buying pre-construction? You buy it based on the blueprints of the building, and usually buy before construction, at a different price level and with a better package. We try to put the word around for any upcoming openings, creating a sense of urgency, because eventually units at the pre-construction phase will be sold and will become unavailable. Its all dependent on the location and other factors, but this is where due diligence plays its part. We buy at a good location, with a good builder, and after the project is finished, we put high-end furniture. Based on past deals, our units are usually the first to go. We had a unit recently put up for sale. We put it up a week ago and we already have 2 different offers. This occurs because the unit is fully furnished, high-end and it has that wow effect. How do you go about furnishing a suite? Is it based on the location or do you take into account the kind of person you want to attract? Excellent question. We do have one on waterfront and it’s furnished as if it’s in the middle of the ocean. The walls have been painted blue and contain a lot of seashells as the decoration. Even the smell of the seashells we re-created within the unit. The furniture are also made with various ocean elements. As soon as you walk in, we are basically creating this image of being in the middle of the ocean, complimenting the fact that you are by the lake. Could you share a few tips for first time homebuyers or someone who wants to invest in the Canadian market? The most important thing is that individuals should do their due diligence. Have an exit strategy when investing, which is very crucial for your success. Get good advice from people in the field, who have done it and have been there, and put it all together when making your decisions.